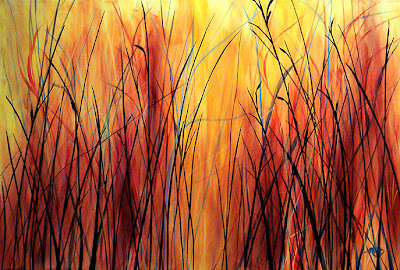 Please visit the gallery from June 5th to 30th for "Beauty and the Bug", the first solo show of artist Lauren Cowles. Lauren is one of our represented artists and we are very happy to be presenting this body of work. The opening reception is set for sunday, June 10th, 2-4pm. Lauren will be in attandance if you would like to meet her. Punch and goodies will be served. 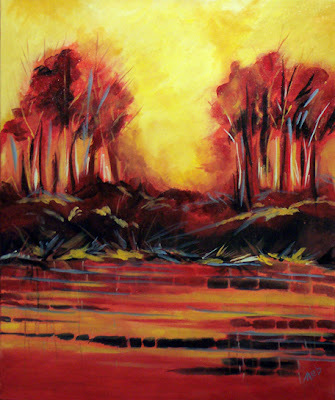 We are very happy to announce that Gallery IS, is now representing local artist Gordon Cannon. 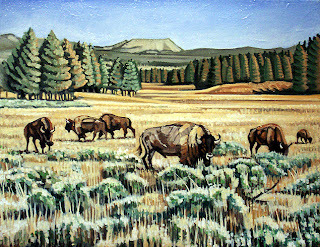 Gordon's work is very wonderful, depicting many scenes of the Alberta landscape and its wildlife. 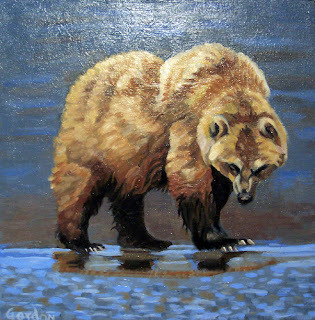 Gord has a strong background in absract styles, and so his current paintings have a very unique style. Here are a couple of examples of his work currently available in the gallery.